If your goal is to enhance your leadership ability and help your team achieve success at the highest level, don't wait for someone else to take charge. It's Time - for you - to Step Up! To purchase your hard copy, click on the words: IT'S TIME TO STEP UP! 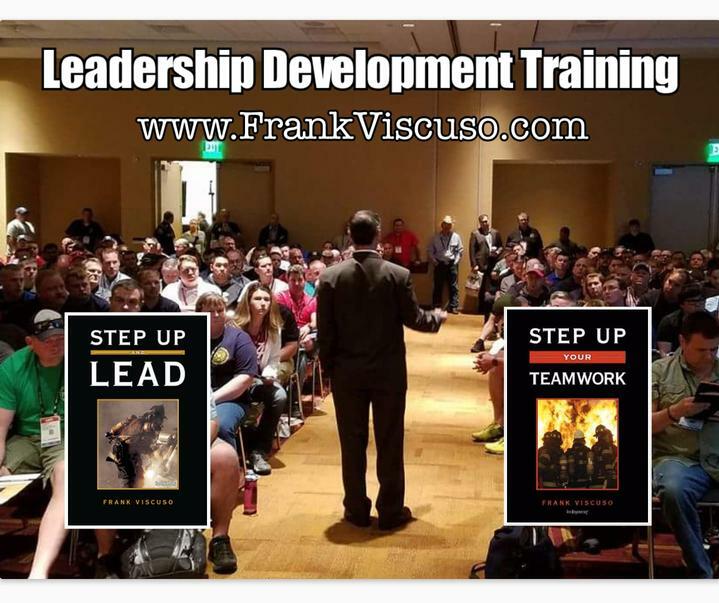 Frank Viscuso’s book Step Up and Lead was written to introduce firefighters to the essential traits and skills that every effective leader must possess. 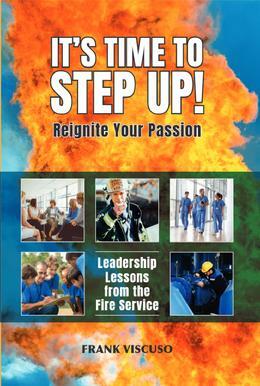 Immediately upon its release, Step Up and Lead became an instant best-seller and one of the fire service’s most frequently referenced leadership publications. Finally, this book, which has been referred to as the backbone of the fire service, has been adapted for leaders in all industries so they can learn and apply these same principles to everyday leadership. 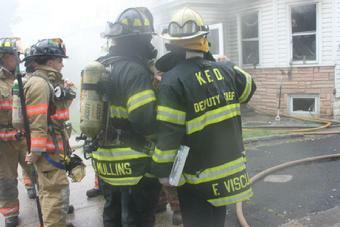 Strategy and tactics are not only needed when fighting a five-alarm structure fire. Sound strategy and tactics are also needed when motivating people, building morale, critiquing underperforming team members, mentoring new ones, delegating tasks and making consistent progress as a team. It doesn’t matter if you are a business owner, manager, sales team leader, public servant, or youth athletic coach –If your goal is to get your team to operate at the highest possible level, It’s Time to Step Up! Will help you achieve that goal. I'm honored and blessed to have had the opportunity to read all of Deputy Chief Frank Viscuso's books and attend six of his seminars. Frank has the ability to effectively simplify and teach leadership principles to the younger generation as well as to a group of seasoned old brown shoes while not insulting their intelligence. His outstanding ability to reach a diverse audience stood out for me during a leadership seminar he conducted for mostly Italian firefighters when I brought him in to speak at the Naval base in Naples, Italy. I'm a retired military veteran who now works as a fire chief on a military installation. During one of his presentations at Marine Corps Base Camp Pendleton, I recalled that I was truly jealous of the opportunity today's active duty military members had to learn from Chief Viscuso. For there stood a man who was not your "Sarge", but an inspiration that has laid a foundation for all in attendance to lead, organize, and effect change in their organization. Why read Frank Viscuso’s book? Because Frank is a natural and charismatic leader who has a special gift to connect and communicate his leadership principles and techniques to men and women of any industry. I have known Frank for over 30 years and watched him climb the leadership ladder of the fire service. 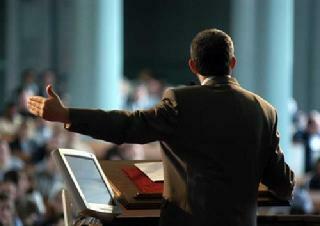 In all our interactions, Frank has proven to possess all of the core leadership competencies. He leads by example, communicates exceptionally well, creates a positive environment, develops others around him, and critically, he achieves results. Don’t miss this opportunity to develop your own leadership skill.